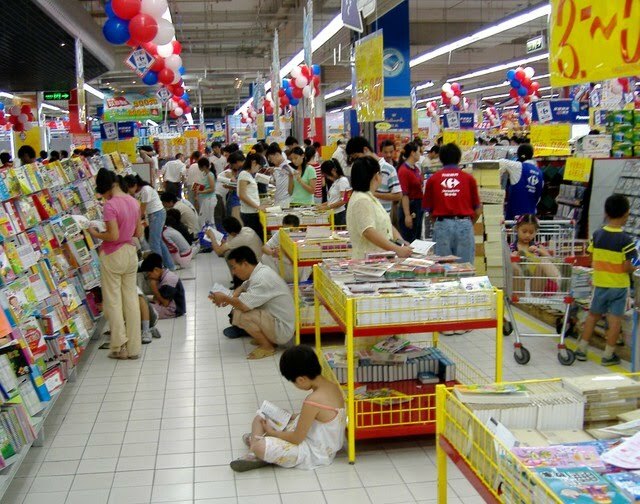 King largest retailer Carrefour in Indonesia that is now officially present in the Riau Islands Mall, Batam. 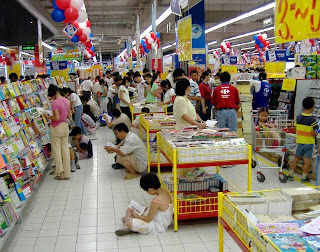 In Soft Opening its famous shopping center is to provide cheap special prices for some products. Items such as fruit, mango sweet scent down the price of Rp 2.069 per 100 grams to only Rp 1.090 per 100 gram. Fruit kelengkeng bangkok down the price of Rp 2.778 to Rp 1.690 per 100 gram. Cavendish banana prices fell to less than Rp 1.490 to only Rp 1.290 per 100 gram. So is the shrimp down the price of the previous jerbung Dibandrol Rp 4.990 to Rp 3.990 per 100 gram. Do not miss Broiler chicken meat products fell from Rp 28.900 to only Rp 22.900 per tail. Kepri Carrefour Mall also is currently offering promotional Redeem Saver with a minimum expenditure of Rp 50 thousand could redeem the cooking oil is cheaper Sania Rp 14.900 per 2 liter. For those customers per day promo only entitled to a maximum of 3 pounch shopping. For those of you who are interested in all these promos, please visit the Carrefour Mall Batam Riau Islands. Get a cheap special promo other.